Sony has announced that 12 Star Wars Galaxies servers will be shut down, cutting the number of servers supporting the game almost in half. It's a bit of a good news/bad news story. The good news is that the free character transfer service offered to Star Wars Galaxies players earlier this year was a big success, bringing people together in larger communities on a small number of servers and giving the game a much busier and more crowded feeling. The bad news, of course, is that this has left a lot of SWG servers sitting almost completely empty; as a result, Sony has decided to pull the plug on a dozen of them. User creation on these servers has been disabled and the free character transfer service will continue to be offered until they go offline. Any characters, items and structures remaining after the closure date will be lost permanently, so if you happen to be a Galaxies player who calls one of these servers home, you might want to give some thought to finding new digs. More information about the free character transfer service is available here. Sony said the server shutdowns shouldn't be taken as a sign that Star Wars Galaxies itself is on the way out. 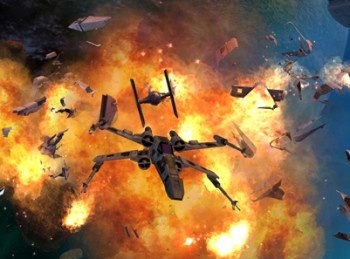 "We have lots of new content and updates planned for Galaxies and remain committed to making the game an enjoyable and engrossing experience," Draakull, the Star Wars Galaxies community relations manager, wrote in the Server Closure FAQ. "The server closure is an effort to improve the gameplay experience for all of our players."